I love Christmas trees. I own all the accoutrements: tree stands, tree aprons, tree toppers, lots and lots of lights, garland, and, of course, boxes of ornaments. BUT, I have also lived in many different places, many of which cannot accommodate a full-size tree. In fact as of the writing of this article, this is the third year in a row I haven’t had the space for a full-size Christmas tree. One alternative I have for a full-size Christmas tree is to display several small trees. You can either group several together (as I have for the photo) or spread them strategically throughout the house. 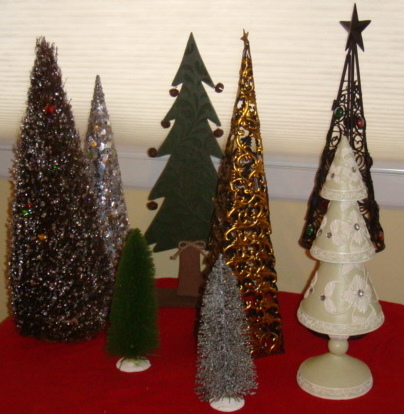 Either way, I would choose a theme for my trees, such as gold trees, ceramic trees or frosted trees. You will not be able to use your store of Christmas tree trimmings, but you will certainly be able to give your home a festive flair that you can easily move and set out of reach of pets. This is also a good option for the person that will be traveling through the holidays. Save any pretty cloth ribbon you find, and pack it in your Christmas box. Actually, I keep a separate Christmas box just for ribbon and bows, so I can get to it easily. Collect your ribbons, then go around the house and decorate everything. Pay attention to what you are doing, so you don’t tie your CD player shut. If you don’t have a collection of ribbons, you can buy ribbons and bows quite inexpensively and in bulk at discount stores, at fabric stores, or at hobby stores. 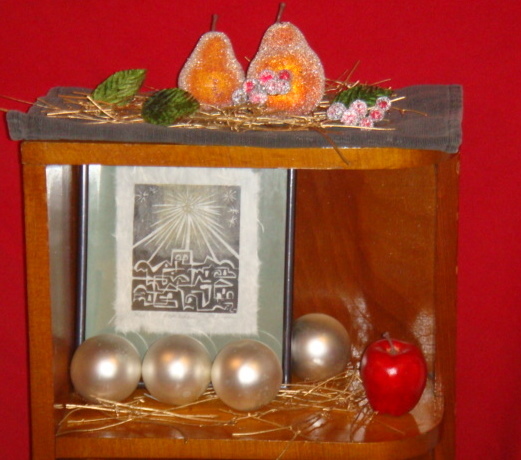 I discovered floating candles several years ago when I was getting ready for a party. 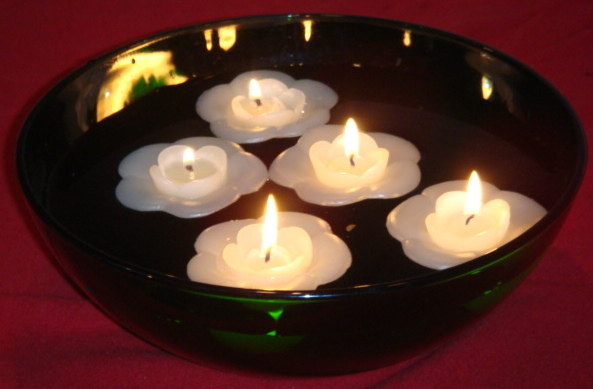 I float my candles in festive green bowls, but you could float them in any container that will hold water, including an unused sink or an outdoor fountain. Light your floating candles while they are still dry–i.e. before you float them in water! Any water on the wick will extinguish your match. If you can’t have a tree, clear off one or two shelves of a bookcase and set up a special holiday display. This will give you the opportunity to display your favorite holiday decorations. With Christmas trees scattered around the house, ribbons on everything, candles floating around and your special shelf, your home will look quite festive. On December 26, go shopping for Christmas decorations that you will use next year. Look in places that you already are, like the grocery store, at the post-Christmas sales – you will be surprised at what you find. I have been doing this for twenty years now, and it’s been a long, long time since I’ve had to shop for wrapping paper, ribbons, or household decorations before Christmas. Shopping before Christmas for Christmas decorations and supplies can be awful: there are too many cars in the parking lot, the check out lines are too long, there are so many people in the Christmas aisles that you can hardly browse, etc. You can avoid that next year. If you mostly give away baked goods, as I do, wrapping paper will last for years. For a completely refreshing and totally unconventional take on fashion, you must, must, must click to Unvogue magazine. The most recent issue features a gorgeous plus-size model on the cover, with the cover line “Bigger is Better.” Even cooler, you can flip through the pages virtually, just like a real magazine, except without all the tree-killing. With its spare photography and design, stunningly elegant fashion spreads, and diverse models and clothing, I see big things in the future for Unvogue. Love it. See it here. In my column, Giving Away Baked Goods, I promised to give you the recipes for some of my favorite baking gifts. Here, you’ll find two recipes and instructions for making them. 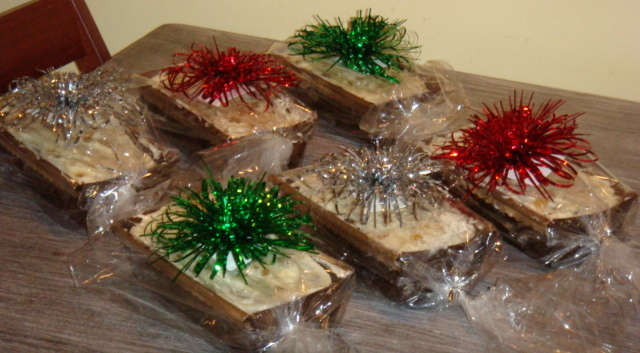 See the Domestic Goddess column Giving Away Baked Goods for information about wrapping and ordering. • It can go without refrigeration for several hours. 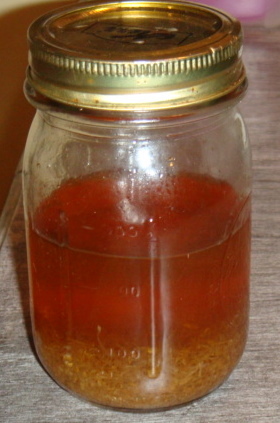 • It can be made and wrapped in advance and be stored in the freezer. • There is at least one thing “special” about the recipe that makes it unlikely that your recipients would make it on their own—which makes it a treat. This recipe makes enough for six gift loaf pans. 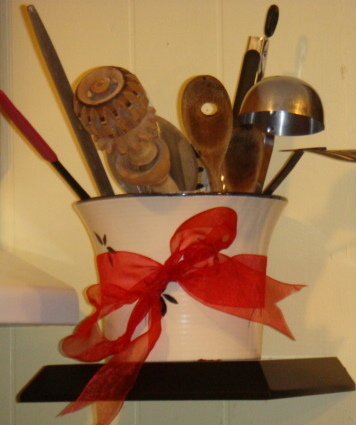 Paper pans with wax coating do not need to be prepared. Steep the lemon zest in brandy for at least one day. You can replenish the brandy twice using the same lemon zest. 1. Bring the eggs to room temperature (you can do this quickly, by putting them in a bowl of hot tap water). 3. Cream butter and brown sugar. 4. Add molasses and beat again. 6. Combine dry ingredients (flour, baking soda, ginger, cinnamon, cloves, allspice). 7. Add dry ingredients to mixture. 8. Add lemon brandy and buttermilk and mix thoroughly. 9. Arrange six gift loaf pans on baking sheet. 10. Pour batter evenly into the six pans and bake for 25 minutes, or until a straw inserted in the center of a cake comes out clean. 11. Cool thoroughly before icing. 2. Add lemon zest, lemon brandy and lemon juice and beat until fluffy. 4. Pre-ice the cakes with 1 tablespoon of icing each. This will eliminate the possibility of crumbs in your lovely final cakes. 5. After the pre-icing has hardened, ice the cakes with the remaining icing. 6. 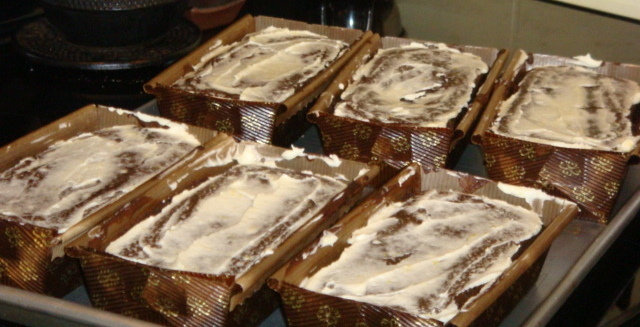 Allow icing to harden before wrapping cakes. • Put on an apron or old shirt on which you don’t mind spattering grease. The reason I make these every year is because they are GREAT. I have yet to meet anyone who doesn’t love them. They also pack really well and one batch makes seven gift bags. 2. Add walnuts to the water and boil for 1 minute. 3. 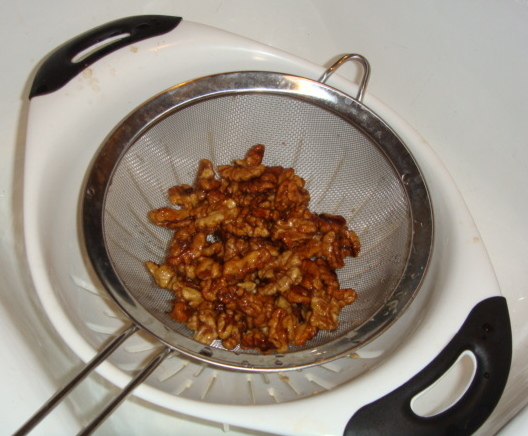 Drain boiled walnuts and rinse with hot water. 4. 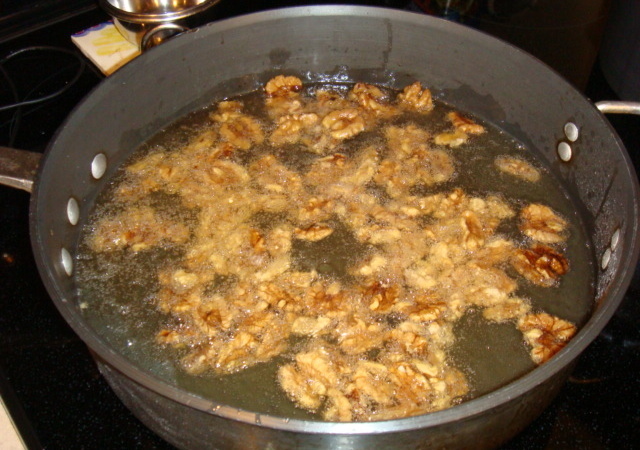 While the walnuts are hot, return them to the pot you used for boiling and mix well with sugar. 5. Heat 1 inch of cooking oil to 160°. 6. Fry the walnuts in two single layer batches for 4 minutes (Put lid or spatter guard on the pan to prevent more of a mess). 7. 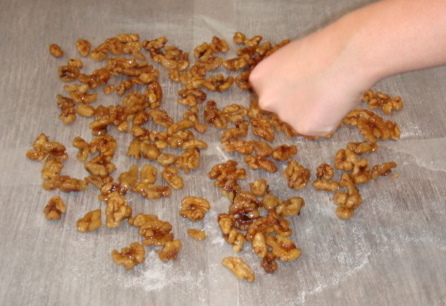 While the walnuts are frying, lay wax paper on your clear surface. 9. Spread fried walnuts in one layer on wax paper. 11. Allow walnuts to cool thoroughly before wrapping. Stay tuned for more recipes, tips on holiday decorating and parts two and three of my essays about making holiday cookies. See previous Domestic Goddess columns for more holiday tips. The Spring/Summer 08 collection ‘The Re-Invention of Never’ is now Instore! Hate no sin when your aesthetic senses melt your once strong knees upon sight of some of the most beautifully crafted pieces featured in the debut collection ‘The Re-Invention of Never’ from hot new Australian label Love is Treason. Check it out now, and be quick as the collection is selling fast!!! This story borrowed from the hot Australian fashion site FashionBirdcage.com. I have a new favorite web site: Fashionista101.com. Produced by fashion ingenue Shantee, Fashionista101 keeps me all up to date on fashion, entertainment and beauty. Shantee, a fashion design student in New York, is meticulous about posting daily, so you’ll never miss a fashion beat. Read here! I was at a photo shoot recently, and the stylist, of course, just happened to have brought along a stash of her own handmade clutch wallets, and they are absolutely adorable. Like candy, but better, because you can have as many as you want. The designer, Molly Maguire, fashions each crumpet of a clutch herself with vintage fabrics and freestyle stitching (no relegating the goods to a sample makers for this gal.) I’m completely besotted and I’m sure you will be too, with Mammy Designs. I just love a talented fashionista who can whip out her own line at a moment’s notice. Check it out. Lately, I’ve become addicted to puppy-cam. Someone somewhere had the brilliant idea of putting their litter of Shiba Inu puppies on a web camera, and at points there have been more than 20,000 viewers watching a litter of six rambunctious youngsters live their first few weeks of life. It’s better than having a real litter of puppies. You get to watch them alternate tumbling and wrestling exhuberantly with flopping down exhausted in a big pile of fuzzy puppy—without any of the mess or tiny, sharp teeth. I have a very handsome golden retriever, and I dare say Shiba Inu puppies are actually cuter than golden pups. Every night I check in; they grow up so fast. Come visit my virtual puppy litter.